Lately I have been waking up so early - today it was 4 am. I decided to read a book I received to review Long Nights Short Years by Julie Carlyle. Oh my gosh I am so glad I took the time to read the book ~ the book totally made my weekend! Julie is a stay-at-home mother of three who wanted to share with the world her Do's & Don'ts of motherhood. She lives in Alabama with her husband of 20 years and her family. Long Nights Short Years is one of the cutest books I have read in a long time. 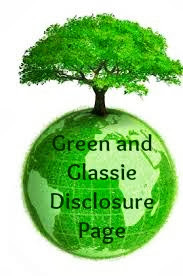 It is a short read - only 75 pages. It made me laugh out loud numerous time. The "I have been there done that feeling" was in every chapter. One of the best sections in the book for me was how she explained motherhood like being a boat on the waves of the ocean, sometimes calm and sometimes a torrent of winds and waves. Oh my this is so true. Plus, how as a Mom our normal changes! What was normal is never really normal again! To this day as a grandmother - normal with my grandchildren continues to change! Makes me smile - reading it! I am sharing my copy of the book with my daughter. She has three children 13, 10, and 5. I am positive she will laugh her way through the book like I did. I am also purchasing Long Nights Short Years for two very good friends Baby Showers. I think the book will be a perfect addition to my gifts. Julie did a excellent job of showing that being a Mom is the most important job in the work. Kinds come in all models and have no instructions - it is a adventure of LOVE that will last a life time! 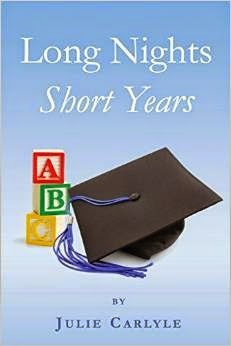 Long Nights Short Years by Julie Carlyle is available at Amazon for $12.95. A perfect gift to give a Mom! This sounds like a really good book. I love reading books that I can relate to. Especially mom stuff. I hardly read anything I am on the go too much. A 75 page book sounds perfect to get me back into it! I love wholesome food for the soul books. This sounds like one of them to add to my fall reading list. This sounds like a great book. I will have to add to my must read list with it being only 75 pages I can read it on my lunch break. The sounds right on as far as being a Mom. I'd love to read it. I haven't read a good book in forever. I need to add reading time to my daily routine so I can read this. Motherhood is a roller coaster ride to say the least! This sounds like a great read. Now you have me thinking this might be a great one for stocking stuffers. Thanks for the idea! This sounds like a great read! As a mom of 4 (my oldest just graduated from high school), the years really are short! What a great read! Sounds like the perfect gift for any moms in your life! It sounds like an adorable book. I'll have to check it out. I haven't sat down with a good book in a long time. This one sounds perfect! Sounds like a great book. I think I could manage to read 75 pages. I love hearing about new books and authors to add to my list! Thanks for sharing! This sounds like a must read!! I may add this to my own reading list. I love putting together little gift baskets and this would make a wonderful addition. Sounds like a really great read. I know a few moms who would really enjoy this. I do a lot of reading and i am always looking for new books to read. I will be adding this one to my list. This sounds like a wonderful book. I'll have to check this one out. Sounds like a good read! Thank you for sharing! I'm always looking for books like this to read. I don't like getting books that I haven't read a review for. Thanks mucho~!!!!! This sounds like a great book. Would definitely be something I would check out. As a WAHM myself this sounds like a book I could get into. Going to have to check it out, thanks! This looks like a great book! I can totally relate to this. This sounds like a great read. I am going to have to check it out. This sounds like a fun read. And a very quick one, at that! Thank you so much for the wonderful review! I'm glad you enjoyed it! As my first born has just entered college this year, I need to write a sequel....lol! I'm going to be doing some giveaways before the holidays, so please check out my website....www.juliecarlyle.com. Thanks again!! Blessings, Julie C.